PHUKET: The Phuket branch of the Thai Meteorological Department (TMD) issued a heavy weather warning for provinces in the Andaman region including Phuket from today until tomorrow (Oc 6-7). 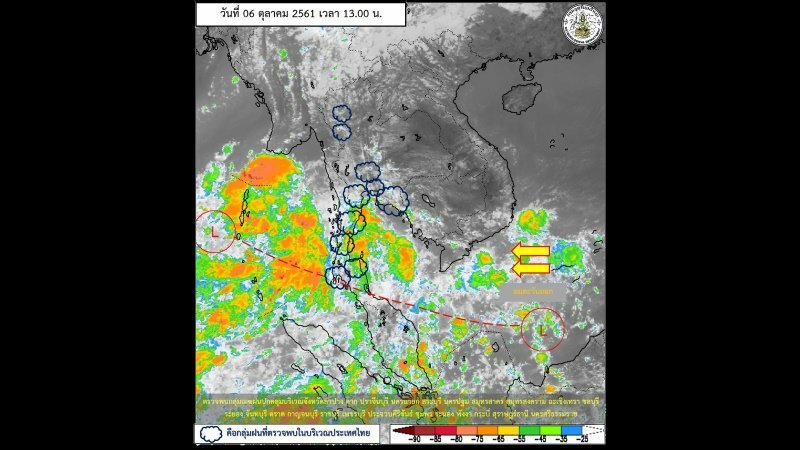 The advisory forecasts strong wind and heavy rains with possible flash floods and landslides in Phuket, Phang Nga, Phuket, Krabi, Trang and Satun. Waves are forecast to reach two meters high in the Andaman Sea. All ship captains are advised to monitor the weather forecast closely and proceed with caution, while smaller vessels are advised to stay ashore. TMD's warning follows similar announcements by the national Disaster Prevention and Mitigation Office (DDPM) made earlier this week. DDPM called on all residents and officials in high-risk areas of Phuket and throughout Southern Thailand to be on full alert for possible floods and landslides (read here). Heavy weather has already prompted Phuket Vice-Governo Snith Sriwihok to urge the island’s three district chiefs to be prepared to carry out evacuations in their areas (read here).